Sweating is a reality in life, especially in the heat and humidity of summer. Even a short trip outside in warm weather can leave a slight shimmer on your skin. However, sometimes sweating goes beyond natural biological function, creating a potentially embarrassing and challenging situations while exercising or simply spending time outdoors. Known as hyperhidrosis, excessive sweating is a condition that affects approximately 2 to 3 percent of the population. While often seen as embarrassing or awkward, sweating is actually an important part of the body’s ability to regulate its own temperature. When outside in warm weather or performing high levels of physical activity, the body’s internal temperatures begin to rise above the normal 98.6 Farenheit. This triggers a part of the brain known as the hypothalamus, which is responsible for controlling temperature, among other things. In response to signals sent by the hypothalamus, the millions of eccrine glands lining the surface of the skin begin to excrete sweat: a clear, largely odorless liquid comprised primarily of water. As sweat sits on your skin, it starts to dry and evaporate, creating a cooling sensation that lowers body temperatures back into a healthy range. Sweat is also secreted through the apocrine glands, most of which are found under the arms. This form of sweating, which more often occurs during periods of excitement, anxiety, stress, or nervousness in addition to heat or exercise, has a heavier smell. While sweat is a normal part of life, some people sweat more than others. Hyperhidrosis is a disorder characterized by excessive sweating, with symptoms manifesting most commonly under the arms or on the hands and feet. For those with hyperhidrosis, sweating doesn’t just occur during exercise or periods of high stress; it’s virtually a constant, leading to great discomfort. The drivers behind hyperhidrosis are largely unclear. It does not appear to be associated with serious overarching health concerns, as most individuals with hyperhidrosis are otherwise healthy, but may be linked to brain chemistry, hormone secretion, or genetics. For those who suffer with around the clock sweat, life is regularly uncomfortable. Sweating through clothes routinely can be awkward and embarrassing, and meeting new people with a handshake can cause nervousness and anxiety. 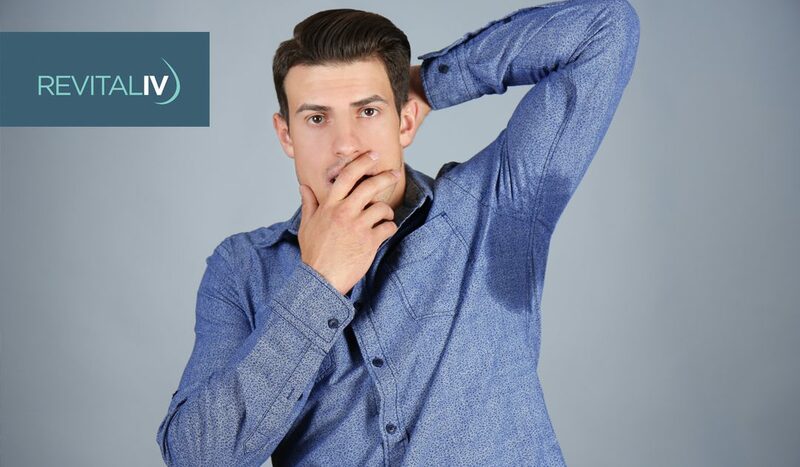 Historically, hyperhidrosis has only been addressed through prescription-strength antiperspirants and selected oral medications known to reduce sweating, leaving most patients without a legitimate and long-lasting way to minimize chronic sweat. Dysport injections from RevitalIV provide a new and effective hyperhidrosis treatment. Fully FDA approved for use in treating excessive underarm sweating, Dysport treatments utilize the botulinum toxin to impair sweat glands, disrupting the release of neurotransmitters from cholinergic nerves under the arms. Fast and virtually painless, Dysport injections can effectively and substantially reduce sweating in over 80 percent of patients. At RevitalIV, we are able to utilize cutting-edge Dysport treatments to improve the comfort and confidence of those facing hyperhidrosis. With surface-level injections of the botulinum toxin to essentially immobilize sweat glands, it’s possible to bring months of relief with one session – especially here in hot, sunny Jupiter, Florida. Whether you sweat a little too much or struggle to live a normal life with the burden of excessive sweating, Dysport injections may be the perfect solution for you. Are you affected by hyperhidrosis? 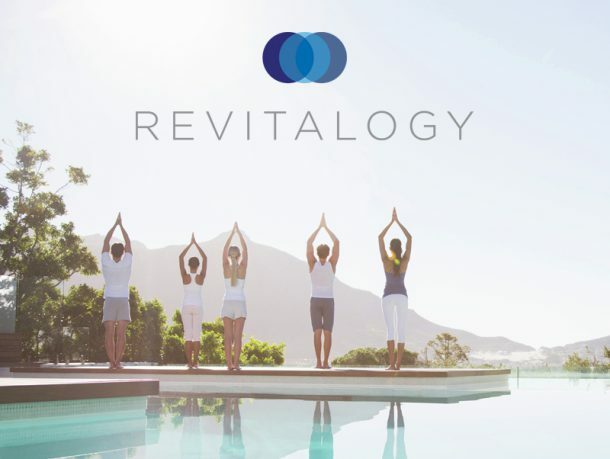 RevitalIV can help. Contact us today at 561-406-2202 (Jupiter) or 561-717-9532 (West Palm Beach) or email us at info@revitalivfl.com to learn more about how our Dysport treatments can make a difference for you.